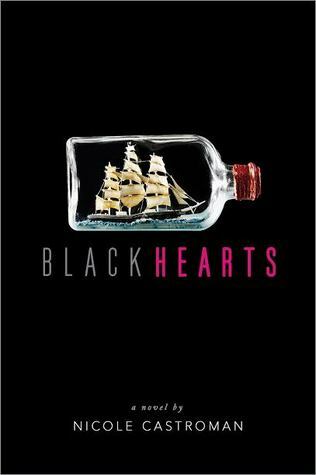 Read a full summary of Blackhearts by Nicole Castroman below. If you can’t remember what happened in Blackhearts and you need a refresher, then you’re in the right place. Blackhearts starts with Anne as a maid in the Drummond household. Mr Drummond and his son soon find out that this was a mistake, and Drummond takes Anne in. Edward’s fiancee was cheating on him with his friend William, so they break off their engagement. Mr Drummond finds out that his son has been getting close to Anne, and Margery dobs Anne in for stealing things from the house. Mr Drummond hires people to take Anne to his ship, the Deliverance, except they take her to a different merchant ship because they’re horrible and related to Margery. Edward learns of this and plans to board the Deliverance and find Anne. Anne Barrett is a maid in Mr Drummond’s household. Mr Drummond is a very successful merchant. His son, Edward, is just about to return from a year at sea. Anne is trying to get venison from the butcher but he’s a creepy old man, so she goes to get shrimp. Long story short, she ends up hitting a guy who turns out to be Edward Drummond. Edward goes by the name Teach, so that’s what we’ll be calling him from now on. Anne is told to serve food at dinner, which isn’t something she normally does. Teach plays more attention to Anne than to his fiancee, Miss Patience Hervey. Anne has been stealing from the house to make money. She wants to escape on a ship and go to the West Indies – where her mother was from. Mr Drummond tells Teach that things have been going missing. Teach falls ill with a fever. He throws up all over Miss Patience. The Herveys leave, along with Mr Drummond. Anne reads to Teach and nurses him back to health. Margery hits Anne for not doing her chores and answering back. Teach threatens to fire her. Teach goes to a pub and spots Henry Barrett. He’s cheating at poker. Teach steals his money. Henry shows up at the house and demands his money back. Anne tells Teach that Henry is her half-brother, and when her father died, Henry gave her to Mr Drummond as a maid. Teach tells his father about this, who then contacts Mr Barrett’s solicitor. Mr Barrett wanted Drummond to look after Anne, so Drummond takes her in and gives her money and clothes. Teach really doesn’t want to marry Miss Patience, but his father insists. Teach takes Anne out for a horse ride, and they visit the cottage that Mrs Drummond used to love. Someone (everyone assumes it’s Henry) accuses Teach of piracy. Mr Drumond leaves to clear his name. Teach asks John to look into this for him. Mary, a maid, is caught screwing the groom. John is upset. Teach tells Miss Patience about the piracy allegations, but she apparently still wants the marriage to go ahead. The Herveys are very keen to get Mr Drummond’s money, you see. The Drummonds and Herveys hold a party, during which Teach and Miss Patience are supposed to announce their engagement. Except everything goes wrong when Anne overhears William and Miss Patience talking. Miss Patience is pregnant with William’s baby, and to try to get her out of her engagement with Teach, William accused him of piracy. TWIST. Anne tries to warn Teach but William attacks her. Thankfully, Teach and Mr Drummond intervene. Anne is sent back to the house. Miss Patience’s pregnancy is announced, and the Drummonds leave them to it. Teach buys a ring for Anne. Margery tells Mr Drummond about Anne and Teach getting closer. She also tells him about the chest of stolen items that she found in the woods. Mr Drummond calls Anne in, and tells her she has to leave. He gives her half of the £3000 that her father left her, and tells her she must get on his ship and start a new life somewhere. He also wants her to write a letter to Teach to explain that there was nothing between them. She does, but she writes a code for him to find her. Teach goes to look for Anne and discovers that the men that Mr Drummond hired betrayed him. Anne is now on a different merchant ship all together. Teach boards the Deliverance as first mate, and is given the nickname Blackbeard. He sets off to find Anne.